Welcome to my website. 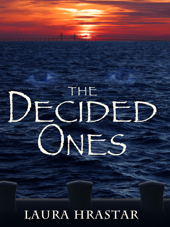 I’m Laura Hrastar, a freelance writer and the author of the novel, The Decided Ones, and the novelette series, Submerged. To learn a little about me, visit the About page. Check out the Blog for the latest news on the books, or get info on how to publish your own books on the Resources page. The Decided Ones is the story of Meriel Wreathe, a young American teacher who moves to Sweden for work, and meets Talus Ekdahl, a successful Internet entrepreneur. He’s charming, intelligent, and funny. And something else… a three hundred year old vampire on the hunt for more than just blood. The Submerged series is a sci-fi fantasy series available in eBook format. 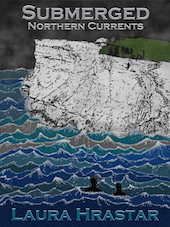 The ocean begins to submerge the planet, leaving humanity to scramble for survival. Six scuba diving friends and their mer companions race to uncover the truth, and understand what their future might hold. If you have questions or comments about the books, I’d love to hear from you!